The November 2017 Agents Panel, an annual event sponsored jointly by SCBWI-Metro NY and The New School’s creative writing department, featured three literary agents responding to questions about the author-agent relationship. Panelists Molly O’Neill of Root Literary, Carrie Pestritto of Prospect Agency, and Brooks Sherman of Janklow & Nesbit discussed how writers can, as Sherman put it, “negotiate their transformation from artist into small-business owner.” The panel was moderated by SCBWI-Metro NY volunteer Adria Quinones. Nick Bruel: How Did the Dog Find Out? Nick Bruel, author and illustrator of the Bad Kitty picture book series, advised SCBWI-Westchester attendees to be curious, compassionate, and brave at his Nov. 4th workshop, “The Three Things Necessary to Write a Story.” He treated participants to a Saturday afternoon of creating their own characters, cartoons, and stories as he brought out everyone’s creative self. Award-winning author/illustrator Joyce Wan shared her insights about board books and picture books at the May Professional Lecture. Her books originally began with designs from her first career as a greeting card artist. Perhaps because Stacey Barney was formerly an English teacher, her presentation seemed to flow from a lesson plan on successful novel writing at the Tuesday night SCBWI Metro NY Professional Series. “Author Platform” is a phrase that is often heard but seldom understood. It generates an unlimited number of questions for all writers. 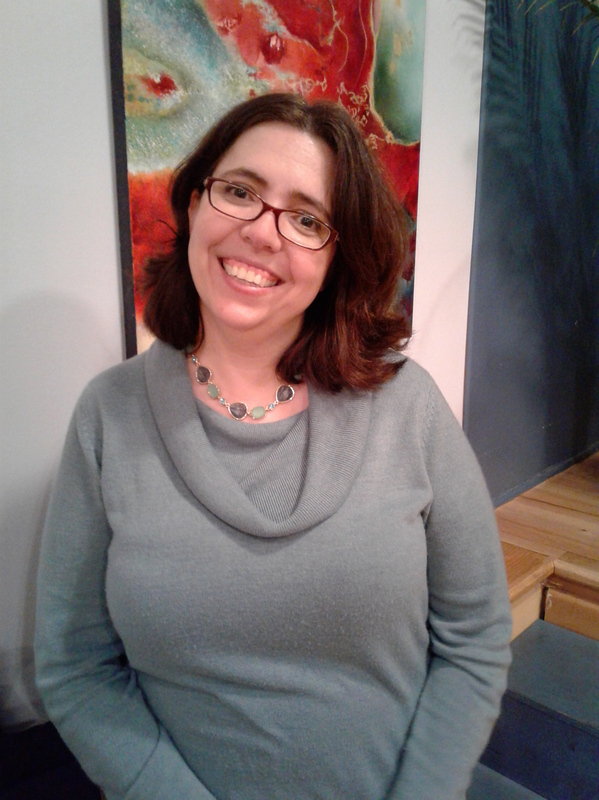 Luckily for the crowd at the SCBWI Metro NY Professional Series, Pixels to Platform, Gabriela Pereira was on hand to answer those questions and demystify the core tenants of any successful author platform. Gabriela Pereira is an MFA graduate from the New School and the founder of diymfa.com, a website that provides authors of all stages a place to delve deeper into the “how to” of writing and “gain knowledge without the college””. While undercover as a graduate student, she learned the inside scoop on MFA programs, invented a slew of writing tools all her own, and developed a new, more effective way for writers to learn their craft. On Tuesday, Gabriela shared her knowledge and showed the crowd the building blocks of a strong and successful platform. She shared with us the basic purpose of a platform as well the ABCs of creating one. Per Gabriela, the platform is a marketing structure meant to the connect the author with the readers and the fan base.